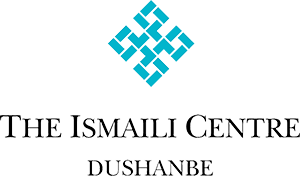 To mark International Education Week, the Ismaili Centre, Dushanbe hosted an education fair in November that was attended by dignitaries from the Ministry of Education and Science, as well as the United States Ambassador to Tajikistan. In the generous foyer of the Ismaili Centre Toronto, a large wall has become canvass to a pair of artists from Tajikistan. The plaster work of father and son team Khasan and Firdavs Dzhumaev will complement a space that is already adorned with other exquisite artwork. Dushanbe, 4 April 2012 – Mawlana Hazar Imam travelled to Tajikistan for a brief, but historic one-day visit. In a meeting with the leaders of the newly-established Jamati institutions in Tajikistan, Hazar Imam emphasised the significance of the formal establishment of Jamati institutions to serve the needs and requirements of the Tajik Jamat. Dushanbe, 22 October 2011 – US Secretary of State Hillary Clinton visited the Ismaili Centre, Dushanbe today, where she held a town hall meeting to help promote the US-sponsored New Silk Road Initiative.